One of the consequences of the recent rout in Bitcoin is well underway. And it's likely to have a profound effect on the leading cryptocurrency. There is a consolidation going on among the so-called miners that perform the complex calculations to generate the digital currency after the plunge rendered many of them unprofitable. At least 100,000 individual miners have shut down, according to Autonomous Research LLP. Fundstrat Global Advisors LLC estimates that about 1.4 million servers have been unplugged since early September. "We are entering in the phase when there's a flushing out of the market," said Malachi Salcido, head of Wenatchee, Washington-based Salcido Enterprises, which claims to be one of the largest miners in North America with 22 megawatts of power deployed and 20 megawatts more being built. "There will be relatively few operations that come out the other side." Most miners are only profitable when Bitcoin trades above $4,500. It hasn't closed above that level since Nov. 19. Late last year, Bitcoin traded for almost $20,000. Only a select few can afford to stay in the game: miners with scale, very specific business models and extremely low electricity costs, as in Douglas County, Washington, where most of Salcido's operations are based. Margins before costs like depreciation and taxes dropped from about 40 percent to 20 percent during the slide, Salcido said. They jumped back up at the company to around 40 percent as smaller rivals shuttered operations, he said. With the so-called hash rate — or mining power on the Bitcoin network — down 36 percent from its all-time peak this August, problem-solving difficulty has dropped about 10 percent, making it easier for the remaining mining rigs to earn Bitcoins, according to Lex Sokolin, the London-based global director of fintech strategy at Autonomous. While that's good for big miners, the consolidation increases risks for investors and others vested in the network's success. With fewer companies controlling the mining, there's a higher chance that several could band together to execute a so-called 51-percent attack, according to Ryan Selkis, co-founder of crypto researcher Messari. In such a maneuver, controlling miners can reverse transactions and stop new ones from confirming — potentially making off with billions in other people's money. Blockchains supporting much smaller coins like Bitcoin Gold and ZenCash have already suffered 51-percent attacks, which have cost investors millions of dollars. The contraction could also reduce the amount of investment even if prices recover, hampering the network's use and growth. 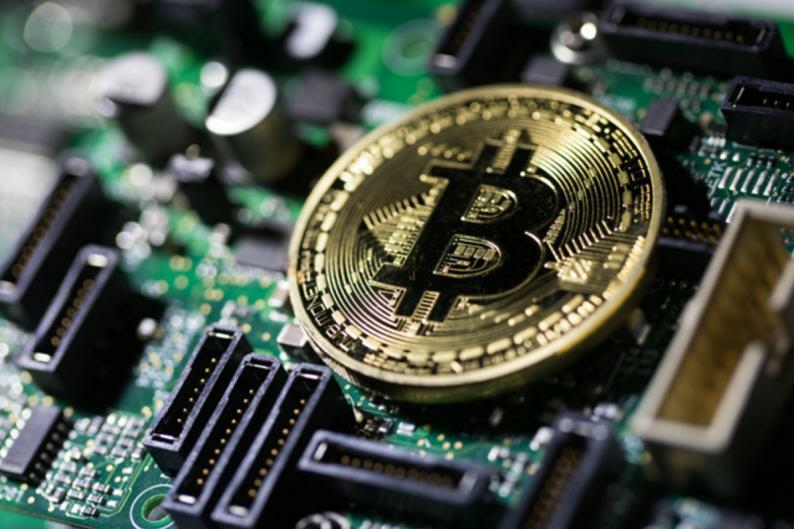 "We note that the BTC price would need to re-accelerate substantially for mining to once again become self-funding, as it has been for most of Bitcoin's history," according to a Fundstrat note published last week. Salcido credits his business model — the company owns all its rigs rather than hosting other miners — and low electricity cost. He is paying about 3 cents per kilowatt hour, or half of what miners pay in China, he said. Nearly all of the power serving Douglas County is generated at the Wells Hydroelectric project — from a dam set up on the Columbia River. China-based Bitmain Technology Ltd., one the industry's biggest miners, just opened a 30,000-unit facility with 12 megawatts of mining power in East Wenatchee, Washington. Another competitor based in East Wenatchee, called Giga Watt, just filed for bankruptcy. Giga Watt essentially hosted small miners, and as a result, took only a share of the mining profits — which wasn't big enough in today's market squeeze. Salcido, who says he has already weathered three other Bitcoin crashes during its 10-year history, doesn't anticipate a quick turnaround. "I expect where we are at to possibly get a little worse before it gets better," he said. "Like all market bottoms, smart money is watching for the turn, that doesn't happen usually quickly. It wouldn't surprise me if the bottom is finally in February.